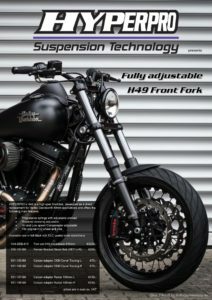 The art of suspension is not only making beautiful products, it is also offering beautiful technical solutions. 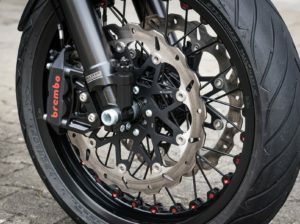 Hyperpro managed to do this again with the H49, conventional 49 mm front fork. 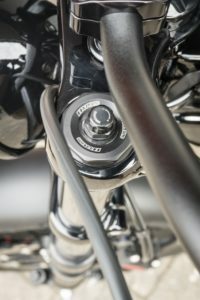 This unique piece of sophisticated development shows its quality in its stylish design and its functional features in the highest league of suspension. Equipped with the following specs, you can’t deny this Front Fork, which is an absolute wannahave for bike lovers. 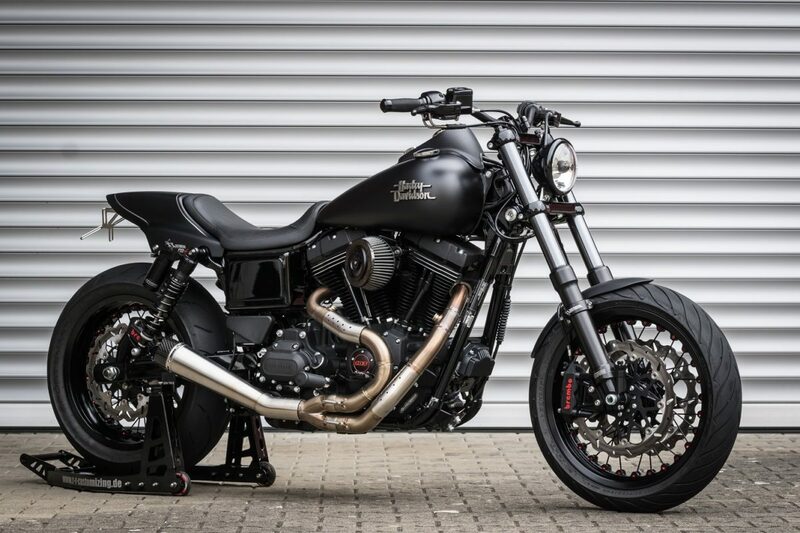 We cooperated with our HD and Buell specialist R&R Customizing to show our front fork mounted on their RRC FXD-R Dyna Street Bob special. Available now in full black with DLC coated inner stanchions.